The hectic life, excess stress and pollution have shattered the dreams of many who desire to have long, shiny and gorgeous hair. We today suffer from a whole lot of hair issues with thousands of women battling their frizzy unmanageable hair and the list includes some of my bosom friends as well. In fact, constant complains from them regarding their frizzy hair than took the shape of a bird’s nest every 10 minutes of combing drove me to ponder over its solutions. I did a lot of research work and found out some of the easy to use remedies that may help to protect your hair from getting excessively dry. The remedies have worked wonders for my friends and therefore I thought of sharing these remedies to help those who suffer from frizzy hair. After several experiments, I have jotted down 31 home remedies to get rid of frizzy hair that tops my preference list. Frizzy hair is frustrating and is a nightmare for many. It not only gives you a clumsy appearance, but also increases the hair fall. Hair is something that is exposed to maximum dirt, especially when you leave your hair open and go out. Therefore, proper hair care routine must be maintained on a frequent basis. Many go for costly weekly hair spas or other hair treatments to pamper their hair. But everyone cannot afford it or don’t have so much of time to visit the parlor frequently. For them, natural remedies are the best. Several kitchen ingredients we use in our daily lifestyle can help you in your battle against frizzy hair. You just need to know the method of usage and the right techniques to reap the maximum benefits. I will be sharing with you some the natural and easy home remedies to get rid of frizzy hair, but before that, I would like to discuss the causes that lead to frizzy hair. The battle against frizzy hair is not that easy but knowing the causes will help you a lot. In fact, besides some unavoidable factors, the problem of frizzy hair in most cases starts with you. Therefore, it is very important for you to know all the factors that make your hair rough and frizzy. This forms your first step in preventing frizzy hair. After all the torture that your hair undergoes, you need to pamper your hair with the right kind of ingredients that can give the needed moisture your hair needs. 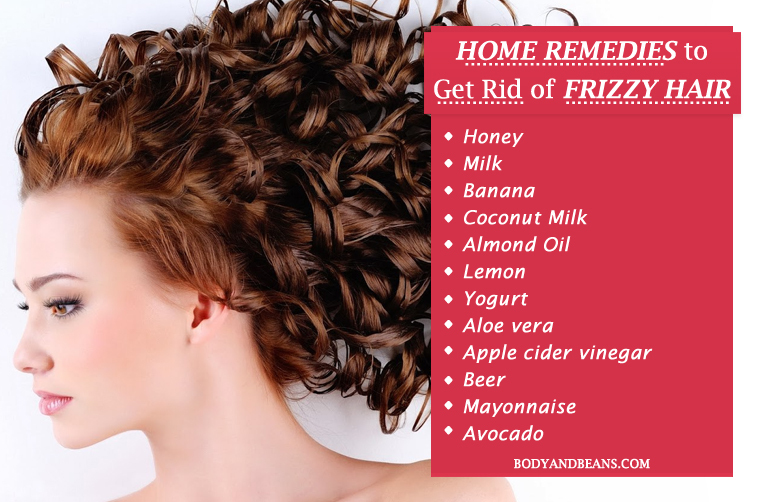 Therefore, in order to make your task easy, here are my favorite natural home remedies to get rid of frizzy hair easily. Use some of these remedies and bring back the lost shine and luster on your hair. If you are busy person and do not get much time to pamper your hair, honey then is the right solution for you. Honey is a natural humectant that helps your hair to regain the lost moisture. It also makes your hair shiny, soft and smooth. All you need to do is to take adequate amounts of honey and water. Then dilute honey with water and pour it on your hair. Wait for half an hour for your hair to saturate properly. Then wash it with a mild shampoo and conditioner. 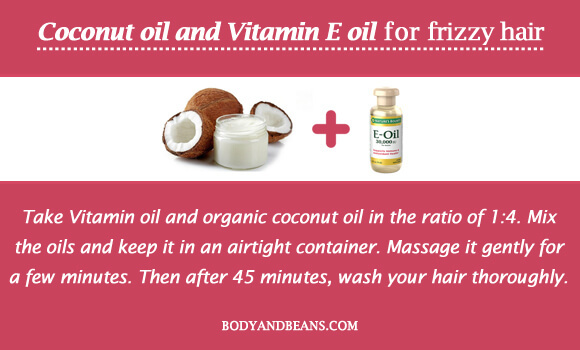 One of the best home remedies to get rid of frizzy hair is by using the mixture of coconut oil and Vitamin E oil. People have been using coconut oil for dry hair since time immemorial as it can penetrate deep underneath your hair roots, which provides maximum conditioning to your hair. On the other hand, Vitamin E oil contains various antioxidants that protect your hair against harmful radicals. You need to take Vitamin oil and organic coconut oil in the ratio of 1:4. Mix the oils and keep it in an airtight container. Take the mixture depending on your hair length and apply it on your scalp. Massage it gently for a few minutes. Then after 45 minutes, wash your hair thoroughly. Repeat this method twice weekly to get rid of frizzy hair. Bananas are very efficient in moisturizing and conditioning your hair. A proper banana mask contains all the necessary nutrients that your hair needs. It brings back the shine and improves the hair texture. To top it, if you mix honey that is another necessary ingredient for hair care, it manifolds the good effects. First, you have to mash the bananas and add honey into it. You can also add a bit of coconut oil to make the paste smoother. Then apply it on your dry scalp and let it remain for 30 minutes. After that, wash it with a mild shampoo and condition your hair using a good conditioner. For an extremely frizzy hair, using this remedy once in a week is the perfect solution. You already know how much effective coconut oil is for your hair. But do you know that the coconut milk is equally beneficial and can help you get rid of frizzy hair? Well yes, this is the perfect protein treatment for your hair. It is a natural moisturizer that provides enough nourishment to your frizzy locks. You need to take coconut milk in adequate quantity depending on your hair length. Boil it until it is warm. Then apply it on your hair and wait for 30 minutes. After that, shampoo and condition your hair properly. Using this remedy on a weekly basis will make your hair silky smooth and frizz free. This remedy is considered as one of the most effective remedies to get rid of frizzy hair. In fact, it has worked really well with two of my friends. It has not only removed the frizziness but also lessened the hair fall. Egg contains high protein that repairs the damaged hair follicles. On the other hand, almond oil is an emollient that naturally conditions your hair. At first, you need to make a smooth mixture of egg and almond oil and apply on the roots and scalp by dividing your hair into sections. Then wait for 45 minutes, and wash your hair thoroughly with mild shampoo and conditioner. Weekly applying this will solve your problem of frizzy hair. The mixture of honey and lemon is ideal for removing all the impurities and dirt which may cause frizzy hair. This mask is also rich in Vitamin C, which helps promote hair growth and thereby reduce the thinning of hair. You need to take adequate lemon juice and honey and mix the two along with water in it. Wash your hair properly and then apply the mixture on your hair. Then massage for few minutes and again wash your hair using mild shampoo and lukewarm water. Use this remedy once weekly side by side with the other conditioning hair masks and you will be able to get rid of frizzy hair easily. Another great conditioning mask is the mixture of yogurt and honey. Yogurt is extremely beneficial for your hair. It reduces hair fall and naturally nourishes your hair. Using this mixture will help you get rid of frizzy hair easily. Mix yogurt and honey and then apply on your scalp. Then after half an hour rinse it with cold water. Weekly use this remedy to get healthy, frizz free hair. Aloe vera is a great moisturizing ingredient which when mixed with carrier oil becomes one of the best remedies to get rid of frizzy hair. It forms a protective sheath over your hair locks and reduces the loss of moisture from your hair. This makes your hair soft and smooth. You need to extract the gel from the aloe leaf and mix it with carrier oil. Then apply on the scalp and rest of the hair. After 30 minutes, shampoo and condition your hair. Use this twice on a weekly basis to get satisfactory results. You might find it surprising but yes, beer is very effective in treating frizzy hair. The protein and Vitamin B content is ideal for your hair and it nourishes and moisturizes your hair naturally. Besides, it also cleans your hair of the dirt and the other impurities. Pour 1 pint of beer in a bowl. Leave it overnight. In the next morning, wash your hair, apply the beer on your scalp after that and massage it for few minutes. Then wash it off using cold water. For best results, use this remedy each alternate week. This natural ingredient is very effective to retain the moisture content in your hair. It balances the ph level of your hair and closes the cuticles that remain open. This helps your hair retain the moisture. In addition, it removes the dirt from your hair thereby leaving it shiny and healthy. Apple cider vinegar is truly magical, not only for hair, but for your skin and overall health. Mix ACV with cold water. 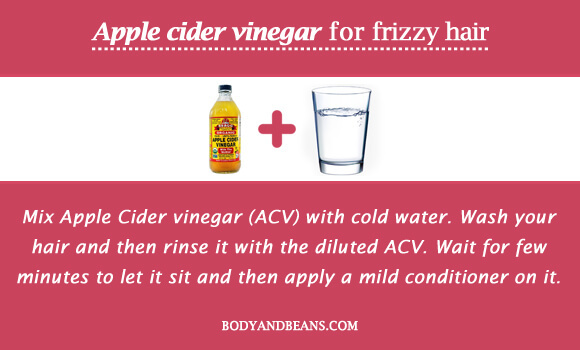 Wash your hair and then rinse it with the diluted ACV. Wait for few minutes to let it sit and then apply a mild conditioner on it. Use this method every week once to get the benefits. 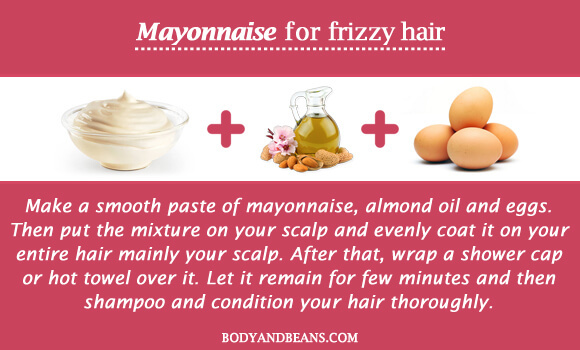 Mayonnaise is extremely beneficial in nourishing your dry hair when mixed with almond oil and eggs. You can prevent your hair fall as well with this paste. Your hair will shine and will turn easily manageable. 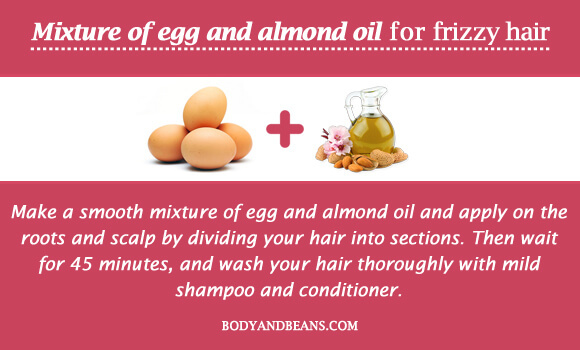 To get rid of frizzy hair, you need to make a smooth paste of mayonnaise, almond oil and eggs. Then put the mixture on your scalp and evenly coat it on your entire hair mainly your scalp. After that, wrap a shower cap or hot towel over it. Let it remain for few minutes and then shampoo and condition your hair thoroughly. Repeat this remedy twice weekly for maximum benefit. 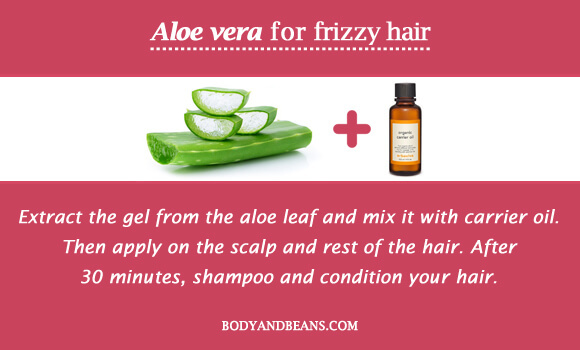 This is one of the most inexpensive as well as effective home remedies to get rid of frizzy hair easily. The Vitamin B and Vitamin E present in avocado helps in nourishing your hair. 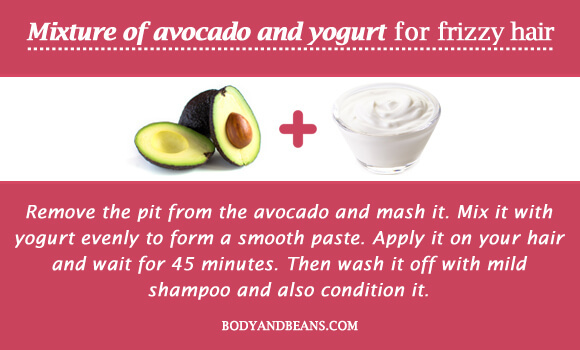 The addition of yogurt makes it all the more ideal in making your hair healthy and frizz free. Remove the pit from the avocado and mash it. Mix it with yogurt evenly to form a smooth paste. Apply it on your hair and wait for 45 minutes. Then wash it off with mild shampoo and also condition it. Using this method thrice weekly will give effective results. The mixture of honey and milk is another necessary try in order to get rid of frizzy hair. This is because it naturally softens your hair and makes the texture smooth. The roughness goes and you get shiny, healthy hair. 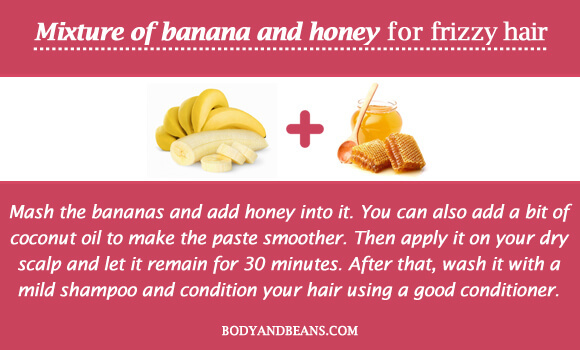 At first, you need to make a thin paste of milk and honey, and then apply on your frizzy hair gently. Cover your hair with a shower cap and let it dry for about 20 minutes. Then rinse it off with cold water. Use this remedy once or twice weekly. Using carbonated water rinse is one of the easiest natural home remedy to treat your frizzy hair. Carbonated water has low level of pH that helps to get rid of the frizz from hair. The process of usage is also very simple. You firstly have to wash your hair thoroughly with a mild shampoo and conditioner. Then you have to rinse your hair again with adequate cups of carbonated water as per your hair length. 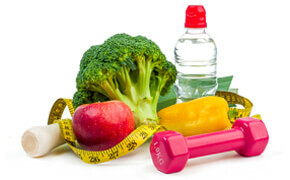 Use this process weekly to draw the maximum benefits. Henna is another common hair care product that is used by many of us. In fact, henna when mixed with curd becomes one of the best herbal home remedies to get rid of frizzy hair. Take a cup of tea liquor or coffee and mix with 4 teaspoons of henna powder. Then make it thicker by adding curd in it. Apply it before going to bed and let it stay overnight. Then in the next morning wash it with a mild shampoo. This remedy can be used weekly to get strong, frizz free hair. This is one of the best home remedies to get rid of frizzy hair easily that has been used since ages. When you massage your hair with any hot oil, it penetrates deep through the hair roots and follicles and naturally conditions and nourishes them. It also prevents the loss of moisture by forming a protective layer around your cuticles. It restores luster to your hair and smoothes the cuticles, preventing frizz. Massaging your scalp with hot oils will not only make your hair frizz free but also keep you relaxed and stress free. Here is the list of the oils that are healthy for your hair. At first, you need to choose any of the above oils, which you think suits your hair type. Pour few drops of that oil in a container and heat it by placing it in a larger container filled with hot water. Then take that warm oil and massage your hair gently for minimum 15 minutes. Wrap your hair in a hot towel to allow the oil to penetrate deep inside the roots. Let it rest for around 30 minutes and then shampoo and condition your hair. Use this remedy at least twice every week to get rid of frizzy hair easily. Besides using the above mentioned home remedies to get rid of frizzy hair, you need to practice certain Dos and Don’ts. Following these dos and don’ts will prevent your hair from getting excessive dry and hence it should be incorporated as a part of your daily hair care routine. Do not rub your hair too much with towel after washing as it causes unnecessary friction thereby damaging your hair even more. Gently squeeze out the water from your hair and let it dry naturally. Try your best not to leave your hair open while going out. The best remedy it to tie it up in a bun or a ponytail. You can also go for the other stylish ways to tie up your hair. You can also guard your hair from extreme weather conditions using hats. Frizzy hair is a common problem and many women suffer from it. It not only looks ugly but also makes your hair unmanageable. However, with the simple natural home ingredients like lemon, eggs, honey and banana, you can get rid of frizzy hair once and for all. Most of the time, we ourselves do stuffs like using chemical products or too much blow dying and we end up damaging our own hair. But if you want straight, healthy and shiny hair, then it’s essential to know what causes frizzy hair and apply remedies to get rid of it. You simply have to pick up the best method out of the list of top remedies that we have discussed to get rid of frizzy hair. All the methods are safe, easy to apply and affordable and are the best alternatives to costly hair spas. With a bit of change in your lifestyle and application of these natural home remedies, you can say bye-bye to frizzy hair and get that shiny, healthy voluminous hair that you desire. Do you have frizzy hair? Have you used any of the remedies to get rid of frizzy hair? Which remedy is best according to you? Do share with me your valuable feedback and do not forget to like, share and comment if you find it beneficial. Till then stay happy, stay frizz free and rock any look with shiny gorgeous hair.